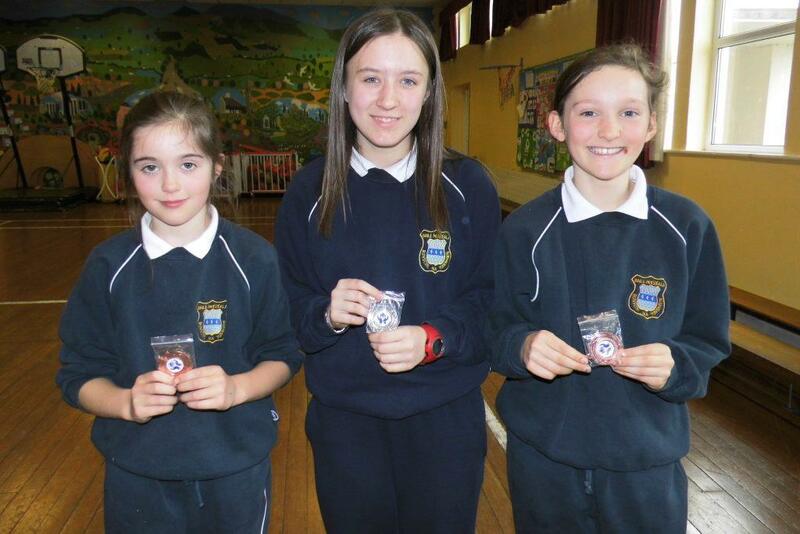 Congratulations to all of the girls who represented Bunscoil na Toirbhirte in the annual Fermoy Swimming Gala held recently in Fermoy Swimming Pool. 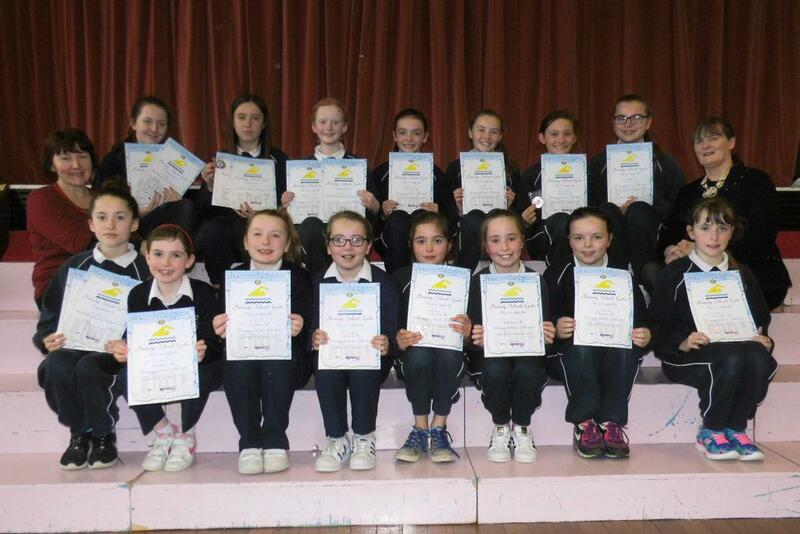 The girls who swam on the day were presented with their participation certificates at our April school assembly. Well done to to all of the girls who did so well on the day, in particular to Anna, Grace and Eabha who received medals fort her efforts. The girls are pictured below with Ms Hayes-Brennan and with Ms Horgan who accompanied them on the day.